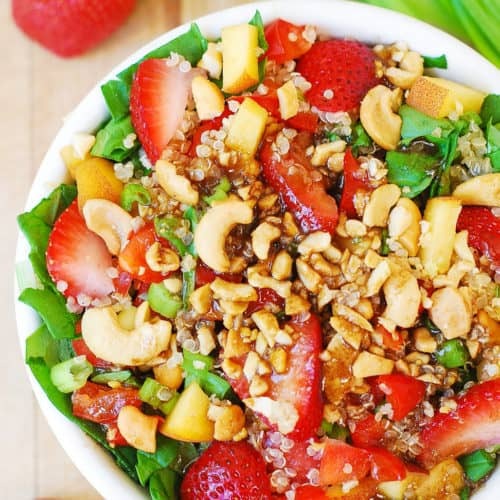 Strawberry, quinoa, spinach and cashew salad with a homemade honey-mustard balsamic vinegar dressing. Vegetarian, gluten free and dairy free recipe. In a large bowl, combine all of the salad ingredients, except the cashew nuts. Add the dressing to the salad and toss. Sprinkle cashew nuts on top of the salad.